Biobanks (which include both specimens and databases) contain a huge amount of personal health information, requiring firm regulatory oversight to guarantee privacy and ethical use of these materials. 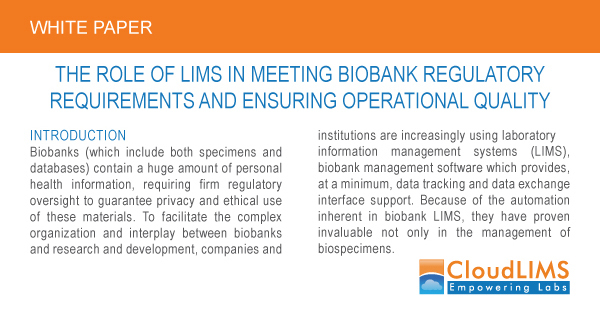 To facilitate the complex organization and interplay between biobanks and research and development, companies and institutions are increasingly using laboratory information management systems (LIMS), biobank management software which provides, at a minimum, data tracking and data exchange interface support. 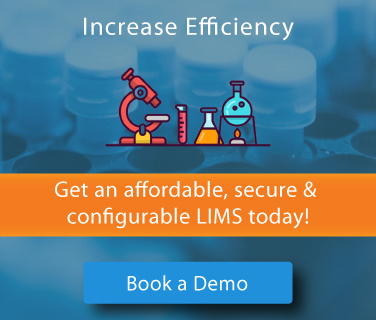 Because of the automation inherent in biobank LIMS, they have proven invaluable not only in the management of biospecimens, but also in the compliance to multiple and complex regulatory requirements both in the US and worldwide. 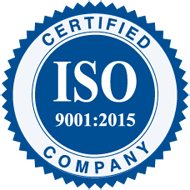 In the US, they play an ever-important role in the Food and Drug Administration (FDA) approval process for new drug applications (NDAs).